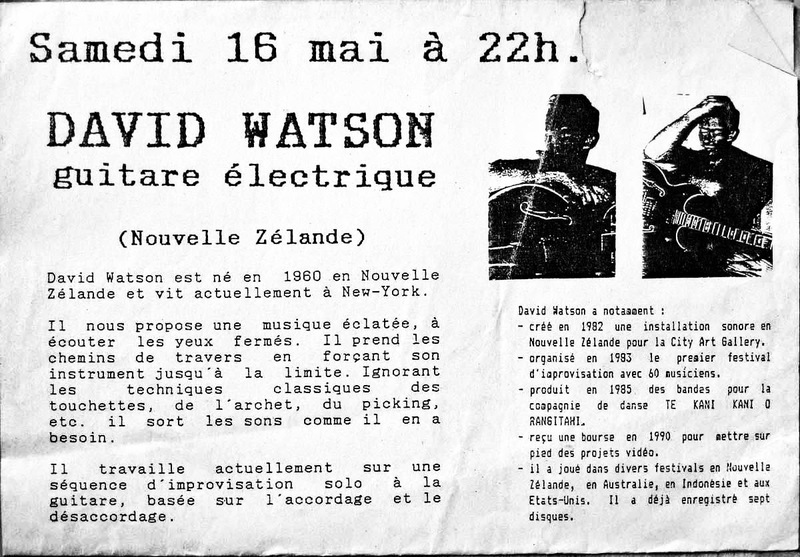 Watson started performing publicly in New Zealand in 1981. 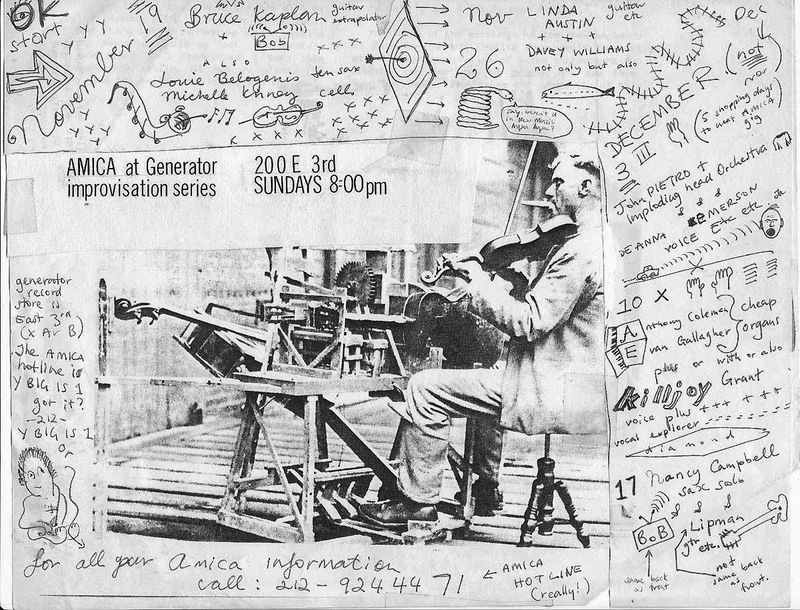 At that time in New Zealand, there simply was no experimental music scene. 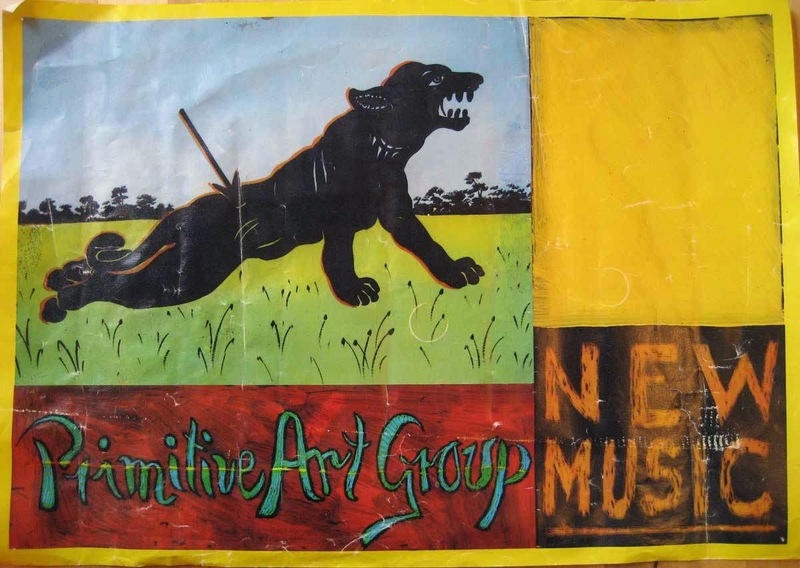 After five years of extensive touring, recording, and starting a co-operative record label (Braille Records), then organizing national festivals involving more than one hundred musicians, there was an experimental scene in New Zealand. He moved to New York in 1987. Soon after his arrival, Wayne Horvitz asked him to perform in the Comprovisation Festival held in the nascent, and soon to be hugely influential Knitting Factory. This began a long commitment to New York’s downtown community. 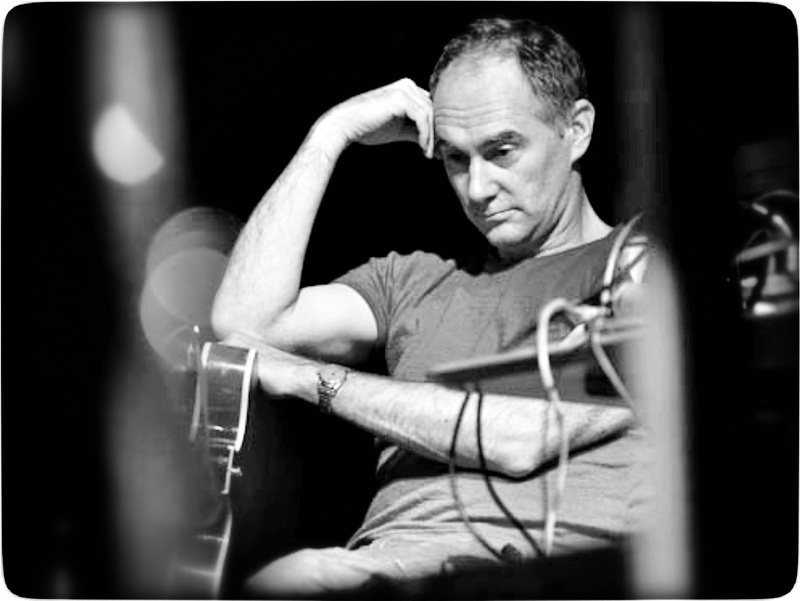 As a guitar player he has been a regular performer of John Zorn’s classic game piece, “Cobra.” He has performed and recorded in various projects with Chris Mann, Ikue Mori and many others. Recently he premiered Robert Ashley’s 1964 composition for trio “White on White.”In 1993 Watson began creating his own music for the Highland Bagpipes. 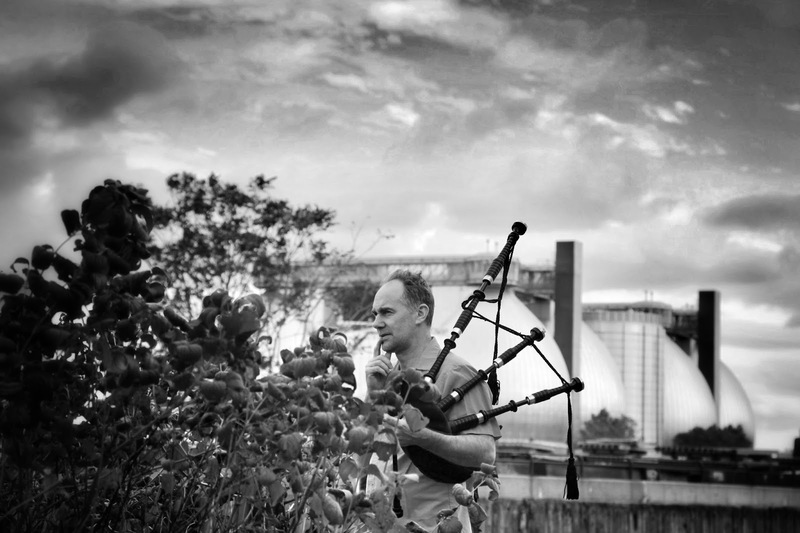 His first project featuring bagpipes was an all-star downtown band, The Wax, which included at various times Otomo Yoshihide, Kato Hideki, Andrea Parkins, Christine Bard and Ikue Mori. About his solo CD “Throats” the Downtown Music Gallery wrote “the bagpipes shimmer as different lines pile up like an old Terry Riley piece, hypnotically repeating while slowly shifting in pitch.” Startling Moniker, reviewing his last recording wrote, “[His work] positively leaps from the stereo, and quickly fills the house with shimmering drone of the fullest variety imaginable. 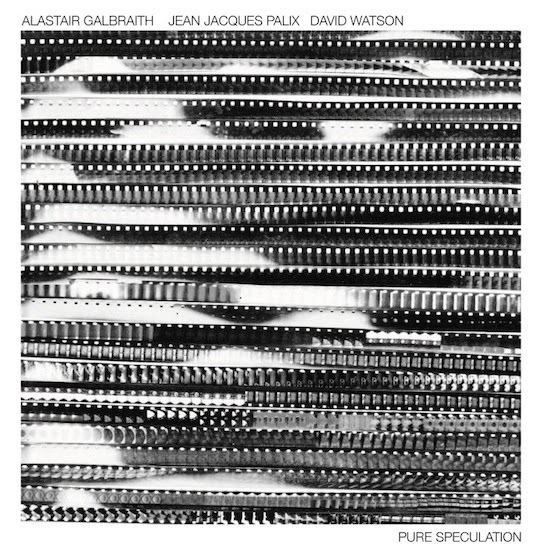 The physical qualities of this recording cannot be overstated.”He is a member of Glacial, a long-standing collaborative trio with Lee Ranaldo and Tony Buck, which features both his guitar playing and piping. 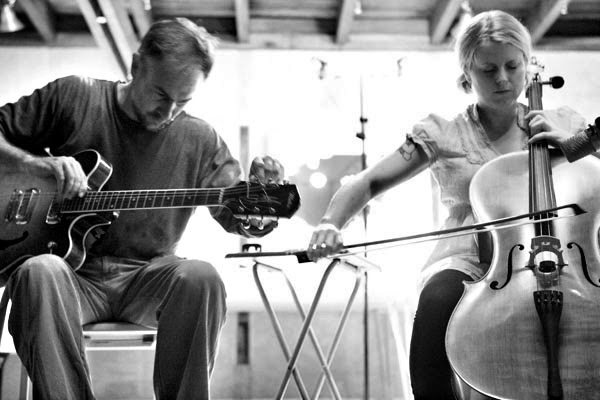 Writing in the Los Angeles Times, Josef Woodward described a performance in 2007 at the Schindler House, saying, “His approach to his instrument is completely unconventional, highly original and relentlessly inventive.”A partial list of recording and performing credits includes Christian Marclay, Zeena Parkins, Andrea Parkins, Hans Tammen, Ikue Mori, Jon Rose, Jim Staley, Christine Bard, Jim Pugliese, Makigami Koichi, Kato Hideki, Thomas Lehn, Jonathon Kane, Tony Buck, Otomo Yoshihide, Rhys Chatham, David Soldier, Phil Dadson, and Anthony Coleman. He has an extensive background in collaborating with choreographers, notably Jeremy Nelson, Luis Lara, Yves Musard, Daria Fain and Osmany Tellez. In New York his music for dance has been performed extensively at Danspace/Saint Marks, Judson Church, Brooklyn Academy of Music, and has toured Europe and South America. He has curated international festivals of experimental music and sound in New York and New Zealand, produced experimental radio (the series “Giant Ear”) and taught Sonic Arts at the SMFA in Boston, and eco-sound at the Bronx River Art Community. Jimi Hendrix. What we called a maxi single - a 45 rpm with four songs on it. Hey Joe, Purple Haze, Wind Cries Mary, 51st Anniversary. I can remember the liner notes, saying in the first sentence that he ”gyrated wildly, darting in and out of the music.” What was that? I was about 11 or 12. I ‘spose I could have looked her up on youtube or something. Well, a lot of it was contradictory. I lived in a pretty isolated small town and you didn’t feel like you had options. And you didn’t even know that. I was a teen intensely serious about the guitar and no idea what to do about that. So – I started learning classical guitar. Which didn’t really make any sense. Fernando Sor and friends were 1,000,000 miles form anything I was interested in. Classical was something of a craze ( could that possibly be true?) at that time, and I made good arguments like, “it’ll give me a solid basis”. (In what?). I became friends about then (1978) with local guitar legend Steve Apirana – a wonderfully tasteful and intuitive player – and he made a project of me to see if he could get me started on being tasteful and intuitive too. I think I was quite the challenge. His guitar teaching career may have stalled right there. As poor a student as I was, it still gave me a stock of guitar basics that I wouldn’t have otherwise. After that .. well… just having as many musical experiences as I could, and then trying to think them through on the guitar. I played gamelan in college, traveled in Indonesia in ‘82 for example. That got me thinking about dissonance and tuning. I was playing with free- and new- jazz fanatics. I think it takes a lot more to phrase that music on guitar than say sax. I would try to do that. I didn’t really nail any of these things, but I ‘d always be trying to take on these things and do them on guitar. For all its faults , guitar is amazingly versatile . These days I have been learning the basics of Haitian conga playing, and playing in highland pipebands. I call this part of my guitar learning. As I said, as a teen in small-town New Zealand very little was available then . Very little. The good part of that was, without realizing it, information was very important. 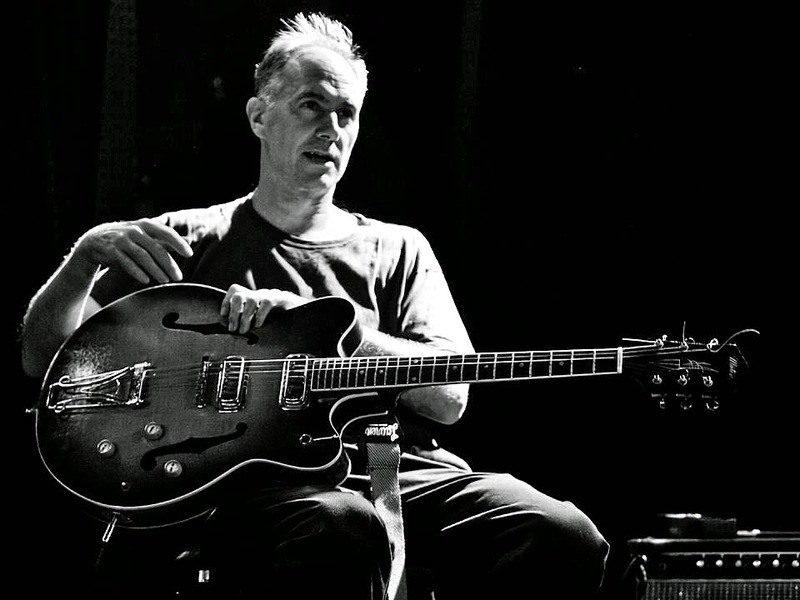 I‘d never heard a Fred Frith record for example, but I‘d seen a photograph of him with a reverse neck guitar thing in a magazine. I had Cage’s Prepared Piano LP. I’d seen the Jimi Hendrix movie (numerous times). I had a couple of Ornette LP’s (“The empty Foxhole) (that I had borrowed from the rapper Scribe’s Dad : Thanks ! I’m still looking after them for you). To say that‘s all the information you need might be a bit flippant. Or, maybe not. Gibson Barney Kessel guitar, late 1960’s. Maton semi acoustic (from Australia) 1963. I love this: like a a cross between a Gresch , a Gibson and a cigar box. A couple of old fuzzface distortion pedals - they were old when I got them 25 years ago. A Rat distortion. A Hot Cake distortion. Some volume pedals. Some small size bows, some slides. I used to be into preparations….. lots of cutlery. Not now. But in Brooklyn there is always a supply of steel tynes on the roads : it’s what they use to sweep the streets. I‘m partial to those. Sculptor Stuart Griffiths had a show at Wellington City Gallery, NZ. He invited me to do some resording for it and I invited my band mate, drummer Anthony Donaldson. I dont think our band officially released anything until 1984 (on Braille Records), so this was an early recordng for us. I listened to some old stuff, on cassettes for this project. The show taped in Prague, about ’91 had a great, high energy volatile audience. I think that risk really made a difference. It felt death or glory. Can you describe an experience that you believe contributed to your becoming a musician? My sister married a drummer, and that really led me into this world. And that’s what I did. It might seem that most people I knew were musicians was accidental, but I don’t think so. Live extract from a club gig in Prague, 1992, I think. Place was packed with people "who wanted to see something from New York." Kind of a challenge. Their ability to save for the future. Visuals by Kevin Norton. Music improvised by Frode Gjerstad, David Watson and Kevin Norton. Gjerstad - alto sax, Watson - electric guitar, Norton - drums, collectively know as TIPPLE. What's the difference between a good instrument and a bad one? All depends on how you are using it, and what for. It’s all about your relationship with it. Rather like a person. With some people, you are only going to go so far. A good instrument you aren’t thinking about that. An unrelealeased (and unmixed) improv track from Harvestworks, NY, from a project Andrea Parkins had put together. Mid-Nineties, I think. I’d spent a decade, deep into Derek Bailey. I was driving in the car and Maggie May, with Ron Wood, came on. For whatever reason, it just bowled me over. Jimi, Machine Gun. One of so many. 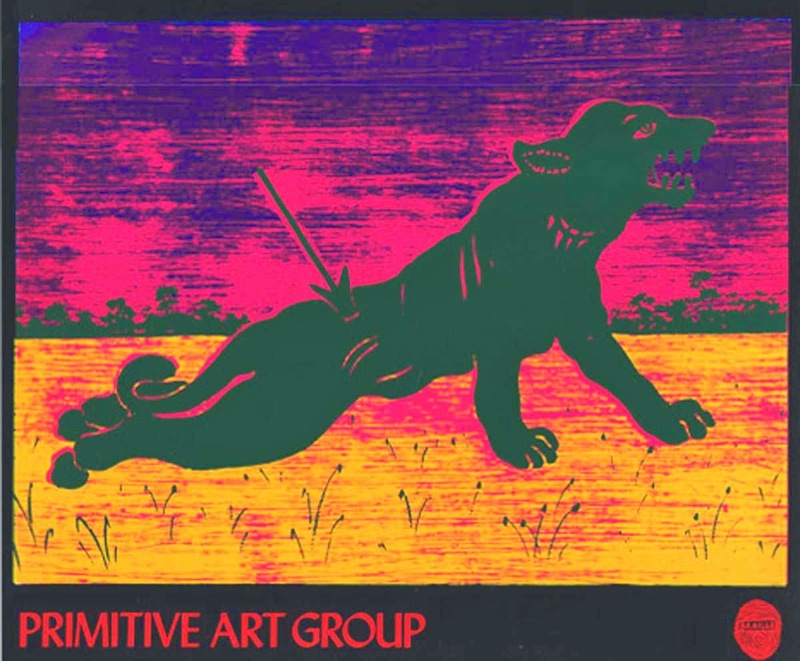 The Howling Wolf Chess sessions, with Hubert Sumlin. Always loved the early Son House records. Eugene Chadbourne, esp. in the early 80’s .. like “Don’t Punk Out”. I always love the spikey sound of James Blood on Captain Black. Sound checking with Lee Ranaldo is always a particular thing. He pulls out a suitcase of effects, takes one moment to plug in and usually has this instantly translucent, springy and deep sound. But : The way my cat reacts to me opening a can beats all of the above. Music (improvised) by Chuck Bettis, Kevin Norton & David Watson. All visuals by Kevin Norton. Music extracted from a live recording from Freddy's Bar, March 25, 2014. 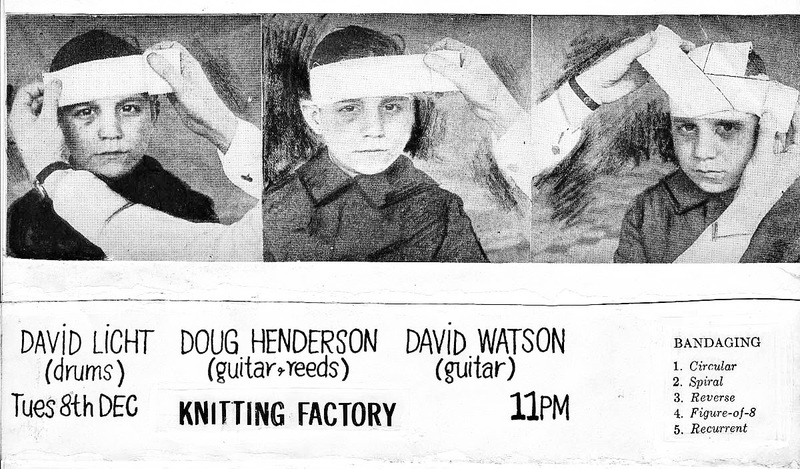 Chuck Bettis, laptop electronics; David Watson, electric guitar & prepared electric guitar; Kevin Norton, percussion. What is the best thing about playing a guitar….and what is the worst? There are about a billion guitar players. You chose to play guitar for the same reasons as 100 million others. And you’re all on a quest for a recognizable individual identity. Bizarre. A studio left-over from about '97 when we making what became "Or Yellow," which ended up being released by Lovely Music (with Christian Marclay, Christine Bard, Anthony Coleman, Mark Stewart, and JIm Pugliese). Here I'm playing the guitar and Chris Mann is doing the words (A very resiliant format). No idea of the real title. Like many others I am trying to understand copyright and intellectual property law history, as it might relate to someone not in the mainstream. I mean, people will pay $5 for a coke at a movie theater, but….. …. Many things I could say I need, but I’ll say a good audience: somewhat educated, somewhat open, somewhat expectant. A couple of years ago, through Alex Waterman I was lucky enough to premier Robert Ashley’s White on White. It is a trio written in1964 and it had never been performed. It has a very strong and simple conceptual basis. For me just having to negotiate the score was like an out-body-experience. (I had to look at the score, find my set of numbers, and then interpret them). It gave me weirdly clearer relationship to the sound I was making, and the people I was playing with. I think Time to Kill was the title. Pretty sure. Anyways, mid NIneties, with my band The Wax (Kato Hideki bs, Evan Gallagher keys, Dave Capello dms). Over a few years The Wax 'experienced' my drift from guitar to bagpipes. And this very guitary track didn't make it onto our CD (on Dr Jims records). Recorded by Marc Anthony Thomson in Cibbo Matto's rehearsal room. I have to leave that one up to Doris Day. My life is not so guitaristic these days, but it is musical. 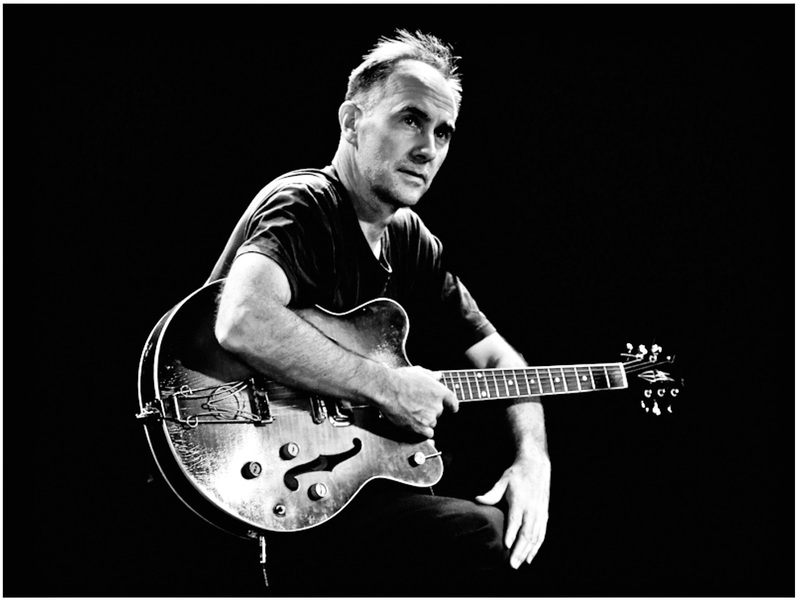 The only ongoing group where I am playing guitar is Tipple, a great improvising trio with percussionist Kevin Norton and sax player Frode Gjerstad. We have three CDs out and are playing together again later this year. I’ll just say as regards that …. Check us out!